They could just redevelop the Vodafone data centre next door - or have they already? 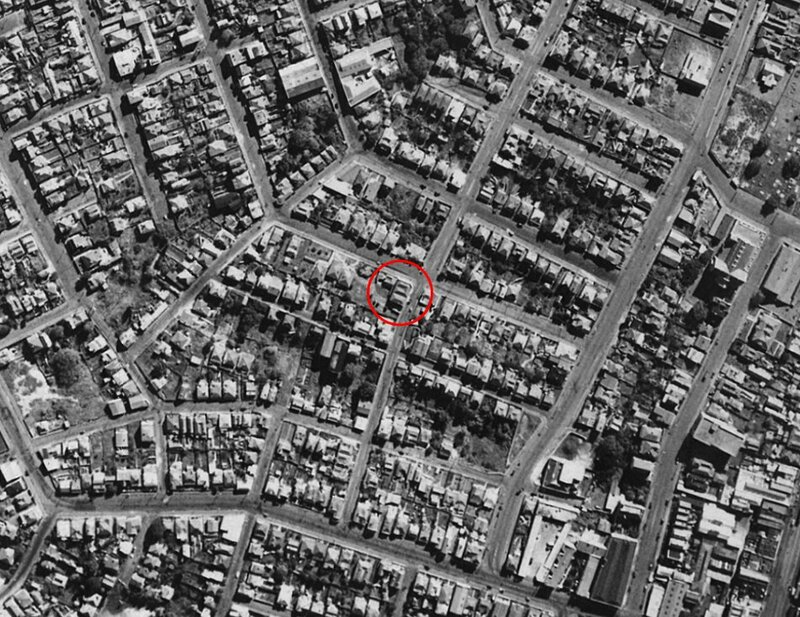 From Patrick Reynolds at Transportblog, the Kings Arms amid high-density housing in 1940. This is what Newton used to look like. Wow. Lotsa houses. Hardly any cars. And no rock'n'roll. When did the dedicated venue at Galatos first open? When did the dedicated venue at Galatos first open? The property was built in the early 1900s and was originally the lodge for the United Ancient Order of Druids. It was subsequently used as a dance venue and boutique function centre. In the dancing era, its native timber parquet floor was reputed to be “the fastest” among patrons of Auckland ballroom dancing clubs. It was also owned and used by the New Zealand All Golds Cosmopolitan Club as their clubrooms. The modern day Galatos Bar and Venue was relaunched in 1999 as a live music venue and MIC bought the property in May 2005. MIC Toi Rerehiko is a non-profit interdisciplinary media-arts organisation. The current owners bought it in 2012. Okay ... things are getting strange now. I've amended the post to reflect that Maureen Gordon apparently says the property is NOT for sale. One theory is that the developer may have applied for SHA status to increase the value of the property to pressure a sale. But ... hmmm. Then how can her place be part of a parcel for SHA purposes? Some developers have been playing landbanking games, but this sounds a different sort of strange. You can apply for a Land Use consent over any land - whether you own it or not.Of course, you cannot utilise a consent unless you have the right to access the land. Getting an area designated as a SHA, and getting a development approved on it, can dramatically increase the value of the land, and as the consent runs with the land, you can sell the land with the consent in place. Are you saying a developer can qualify for SHA status even if they have no legal arrangement with the owners of the designated parcel of land? Why would council sign off on such a dubious arrangement? 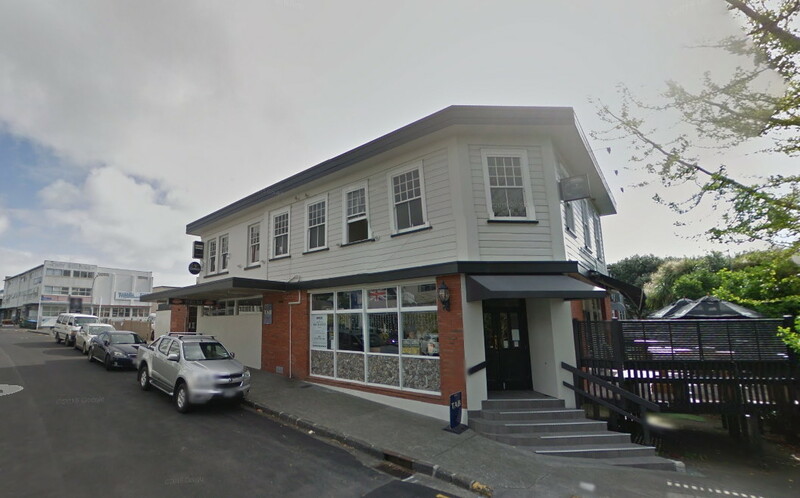 The SHA comprises two titles in Karaka Street, currently home to a gym, and the King’s Arms Tavern. It is entirely possible that the Urban Collective could build an apartment block on the site of the gym, and then wait for the residents to make numerous noise complaints about the KA live music. Obviously there would be a counter defence (‘we were here first, you shouldn’t have bought next to a live music venue’) but I suspect it will be a war of attrition and council will eventually make it difficult for KA to be a live loud music venue. At which point the site goes on the auction block. Maureen may not want to sell but eventually it will be sold. There is no guarantee UC will be the purchaser. I suspect they applied for the whole block just to strengthen their own position. 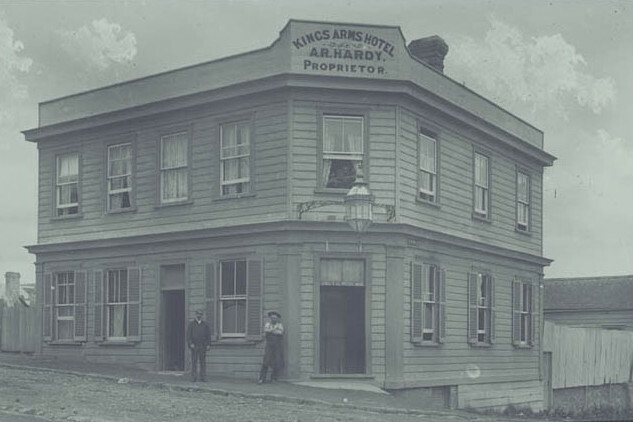 Back then, the King’s Arms was a classic NZ corner pub, complete with a lantern. But then the corner disappeared. For contrast, what that same corner looks like today. I'm note sure that the idea that they will use noise control to shut down the Kings Arms is real, this will surely take a few years even if they started building apartments tomorrow. More likely they added the KA property to the designation since it was a lot easier to do it now (and no real downside) than apply for a new one later. I'd wonder why they actually didn't apply for a larger area. I have just spent some time at an apartment on Karaka St earlier this afternoon. There are already plenty in the area and ironically at least some of those people live there in part because the KA is nearby and that makes the neighbourhood more liveable. What is right next to the KA is a car parking area which can and probably should be developed. As for that gym. It has one of the worst driveways ever and definitely not great use of that site. I signed the petition because I do think having some extra publicity over the process will help unravel what is really going on. The KA is one of only a handful of live music venues of that size which is a step up from the small bars but not too large. That scale is a rarity. The combination of the outside space and the inside stage is also rare and if I lived there I would want to see it continue. But also understand that the owners have bills to pay and the rates on the site may be forcing their hand. Having an undeveloped parking area next door must be a very un-economic way to use that land. It would be great to find out more. Building a liveable city s much more than just housing. FWIW - I see that the redevelopment of the Orange Ballroom at the top of Newton road looks to be almost finished. That building had a very good "dance-floor" and almost certainly still does. The way that they "wrapped" the new development around the old building looks to be smart. Haven't seen inside or anything since it was re-developed but if there was a "sympathetic" re-development of the KA & nearby gym site and it was able to keep the music venue then that would good. I keep thinking back to the old Gluepot days. Really that space was tragic in retrospect. Sight-lines were not brilliant and while it was a great venue that was mostly in spite of the lay out rather than because of it. And of course our collective memory of gigs there and say in the Rhumba room or any number of venues that have now gone are mostly about the musical magic rather than the venues themselves. "It's worth noting that this is also an area where many more people used to live, before the motorway junction built in the 1960s forcibly displaced as many as 30,000 residents"
Newton, Arch Hill and Eden Terrace were at the core of one of the great Labour strongholds of the post-war era - the Arch Hill seat. Labour could usually rely on it being one of their three strongest electorates (often second only to Mabel Howard's Sydenham). So I'm assuming (as a Wellingtonian with limited knowledge of the minutiae of Auckland's social / cultural history) that it was a high density area with a very strong working class (presumably, above all, unskilled wkg class) population ? Are you thinking of Temple Bar? Lasted until early 2000s. You can apply for a Land Use consent over any land – whether you own it or not. I've sent a message to Urban Collective and I'll try again in the morning. o I’m assuming (as a Wellingtonian with limited knowledge of the minutiae of Auckland’s social / cultural history) that it was a high density area with a very strong working class (presumably, above all, unskilled wkg class) population ? Those people were shooed out ages ago. You’re now talking about urban liberals who may or may not be working class. The tenants are already vacating the building housing the gym, adjacent to two large car parking areas equal to that at TKA. A good site for better land use. Thanks for doing the research on this Russell, but even so, the whole debate on property developers profit driven plans vs what's good for the community is one that needs to continue. This scenario is a good wake-up call, albeit a bit of a false alarm it appears. The loss of the KA would be horrendous to not only the AKL scene, but NZ as a whole. Without a solid venue of that capacity in AKL, promoters won't have a "budget making" gig for a tour, which would cover any losses for other city's gigs (i.e. Welly, ChCh etc), and so will be very unwilling to bring over more "fringe" type acts, and surely would be unwilling to add the extra cost/potential loss of playing other cities also. I love playing, promoting at, and attending gigs at the KA, it is an excellent venue, with excellent sound, staff and layout...God save the KA!! !